Treeland Resorts can help your family relax, reconnect, and create happy memories with an Up North Hayward vacation. We constantly update all of our facilities at all five resorts in an effort to help you experience the Northern Wisconsin lakes and woodlands in upscale comfort. We have enough events and activities to please every member of the family. 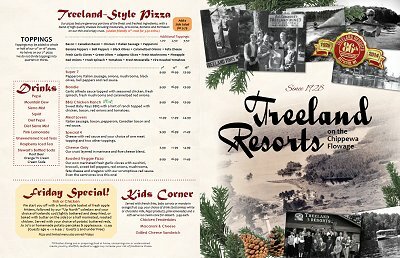 With our accommodating amenities and different vacation styles to choose from, your Hayward vacation at one of the Treeland Resort properties might just become an annual family tradition! Choose to stay in our motel suites, condos, deluxe suites, cabins, spacious vacation homes or brand new, big rig friend RV site! 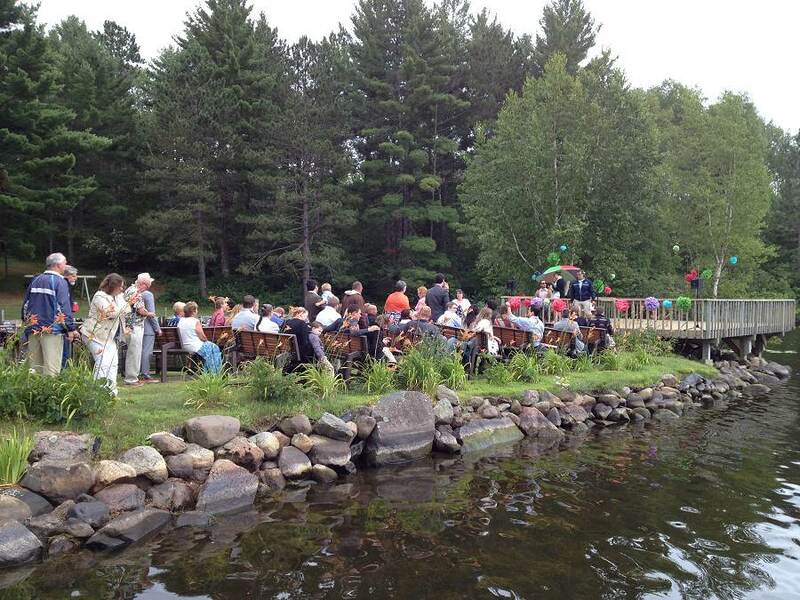 All five resorts are located or near the peaceful and picturesque Chippewa Flowage. All of our units at all four vacation home properties are completely furnished. You’ll find comfortable leather furniture, flat-screen HD TVs with Dish Network, fully equipped kitchens, decks, grills, and air-conditioning. The majority of the units have gas log fireplaces, some have 2-person whirlpools, and all guests can use Treeland’s lodge and Pat’s Landing Bar & Grill. In addition to the games, ice cream, good food at the two dining establishments, Treeland, Pat’s Landing, Oak Shores, Timber Kove and Treeland Farm RV Resort’s younger guests can enjoy the in-ground heated swimming pool, playground equipment, ride bikes, hike trails, fish, frequent the beach and swim rafts, paddle-boats, kayaks, row boats, putting green, picklball, tennis, and a sand beach volleyball court. During winter, kids can cross country ski, snowshoe, sled, tube, and ice skate. And don’t forget that there are always additional activities (including restaurants, shopping, and a movie theatre) in Hayward. Because Treeland Resorts has five different resort locations in different settings (but still on the same lake), you can control your vacation style. For a more relaxing and private family vacation, there are vacation homes in more isolated areas. If your family prefers more of a community feel, you can rent units closer to others, dine at the full-service restaurant at the lodge, or drive to town for an afternoon outing. For family adventure vacations, we can help you plan a kids’ fishing trip on a pontoon boat or fish rig. If you want to set up a game day for children, we are happy to help arrange it. Children can also watch or participate in events like weekly kids games, weinie roasts, ice cream socials, outdoor movies, kids fishing trips and fishing contests. Also be sure to check out some fantastic off-road bike trails. Please let us know if you would like to plan a game day or junior fishing trip when you make your reservations.